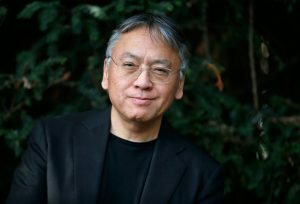 FORMER Woking school pupil and author Kazuo Ishiguro has been knighted and a Byfleet community stalwart given a British Empire Medal in the Queen’s Birthday Honours. Sir Kazuo, who won the Nobel Prize for Literature last year, attended Woking County Grammar School for Boys from 1966 to 1973. He was appointed OBE for services to literature in 1995. Jim Allen, chairman of the Byfleet Heritage Society, received a BEM for services to the community. He has lived in the village for almost 70 years.